JOIN US! A brand new LIVE episode of Type1Radio Lounge airs tonight. Miles is back and will be at the helm, with Steve and Phi rounding out the panel. Swami is still on medical leave; we wish him a speedy recovery. 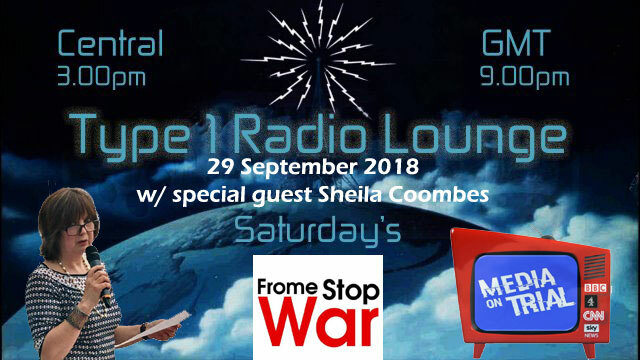 Unfortunately Psonik is unavailable tonight, but we do have a very special guest — Sheila Coombes, organiser of the “Media On Trial” event series from Frome Stop War, featuring Patrick Henningsen, Vanessa Beeley, Ambassador Peter Ford, Robert Stuart and Professors Piers Robinson and Tim Hayward. 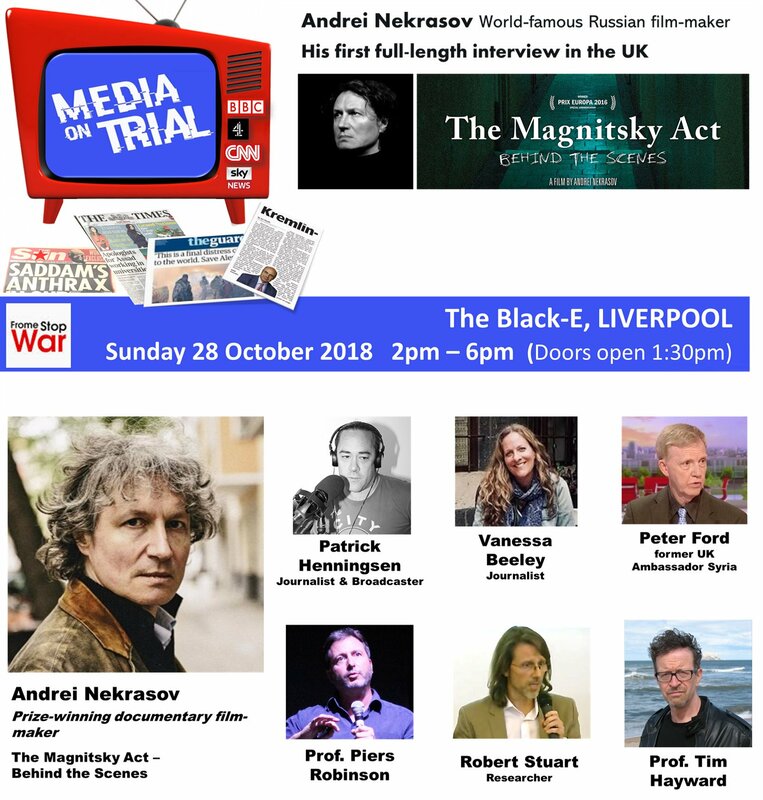 The upcoming Media On Trial event is to take place in Liverpool on 28 October. Links below. Importing Jihadi Terror to the UK – Cui Bono?